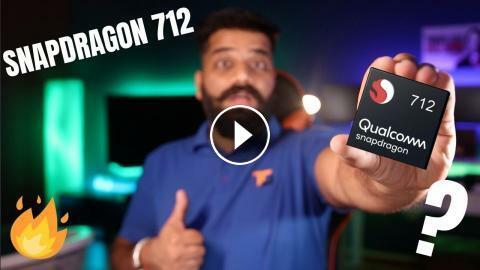 ﻿ Qualcomm Snapdragon 712 Processor - How Much Power??? Qualcomm Snapdragon 712 Processor - How Much Power??? Namaskaar Dosto, is video mein maine aapse Snapdragon 712 Mobile Platform ke baare mein baat ki hai, yeh ek latest system hai Qualcomm ki taraf se those improvements leke aaya hai Snapdragon 710 ke comparison mein. Snapdragon 712 mein Multi-core AI engine hai, Kryo 360 Cores ka design hai aur manufacturing hui hai 10nm pe. Mujhe umeed hai ki aapko Snapdragon 712 ke baare mein yeh video pasand aayegi. Qualcomm Snapdragon 660 and 630 Processors - Best Budget Flagships? Qualcomm Snapdragon 710 Processor - Better than 660? New Premium Mid ranger? Snapdragon 670 Processor - AI Power in Mid range Phones?? Qualcomm Snapdragon 845 Processor - Main Highlights - Another Beast? Snapdragon 850 Processor for Windows 10 Devices - Qualcomm Vs Intel?? ?